This Launch had our sponsor IPMA’s collaboration, and took place at the IPMA observation center and weather balloon launch site, near Portela Airport (LIS). Test both GPS tracking systems which failed in Balua ONE, validating the idea that due to close proximity they shut each other off. Verify once again payload resistance and damage tolerance during descent and landing since the first payload didn’t hit the ground. Compare and validate the flight prediction tool. Obtain good images (without fog). Collaborate with IPMA and learn with their expertise in filling and launching weather balloons. 4 temperature sensors – 3x One Wire Digital Temperature Sensor – DS18B20 (outside, inside wall, inside “floating”) and 1x analog Low Voltage Temperature Sensor – TMP36 (soldered on the PCB). 6x AA Lithium Energizier batteries. The main flight computer was the same custom PCB with an ATmega328 running the arduino bootloader used in Balua ONE. There is also on-board a 3.3V voltage regulator and a Radiometrix HX1 (VHF transmitter, hard-tuned to 144.8 MHz which outputs 300mW (draining 120mA at full RF). However, due to the first flight’s on-board power mishaps, we fitted an external 5V voltage regulator to power the radio. The flight computer also connects to the Venus638FLPx module and receives data from 2 temperature sensors, a pressure sensor, a magnetometer and a 3-axis accelerometer. All data is stored on an on-board microSD card. All systems are powered by 6x AA Lithium Energizer batteries. A buzzer was also fitted to facilitate locating the payload. Lastly, a chemical heater was embedded within the payload casing. This time the backup system – SPOT satellite GPS Messenger – was placed in a different styrofoam box a couple meters away from the primary payload where the other GPS receiver is. Stores data to the microSD card. 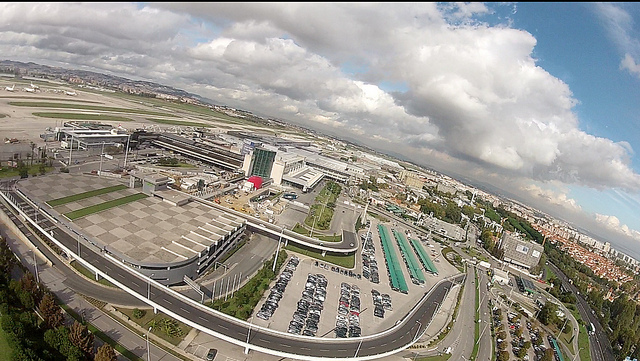 The launch was made in Lisbon’s airport with authorization and in cooperation with IPMA. 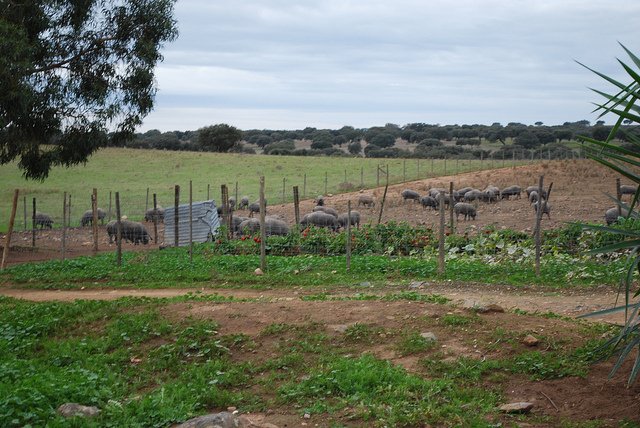 Land predictions pointed us for an “LZ” near the Spanish border. Checking weather reports and confirming a million times the balloon trajectory. Someone once said “Those who cannot learn from history are doomed to repeat it”. This statement is, without a shadow of a doubt, absolutely true! Following in our universities great heritage, we took a car ride at 2 o’clock in the morning to test our system in the middle of the city. We also chilled our payload inside a freezer. As all testing revealed no issues, our payload was declared flight-ready. Very early in the morning, we start packing everything inside the van and head for Lisbon Airport. We arrived at the airport shortly after and headed for IPMA’s sounding station. We had a welcome briefing followed by a very detailed explanation of IPMA’s equipment and launch procedures. A safety briefing was also conducted in order to ensure everyone knew how things were going to play out. Afterwards, we moved the van up to IPMA’s balloon hangar and start unloading by laying down the equipment on the hangar wall. Time to start unwrapping all our stuff and assemble the whole thing! Ok, now we are fu….ed!!! This is what we were looking at, a 3 meter balloon hanging on the top of a 5 meter high hangar. “Ohhh we put so much work into this…” That’s what crossed our minds! Sadly, Lisbon Air Traffic Control had already established a 15 minute window when both balloons were supposed to be launched so IPMA personnel could not wait any longer. We helped them carry the balloon outside and watched their launch. Back inside, everyone is still looking up, trying to figure out what to do… fortunately, none of us is a quitter!! Even better, Edmundo is as stubborn as it gets so, with his resourcefulness, a rescue operation was in place after 5 minutes. We’d resort to our university knowledge and end up using hi-tech engineering materials (an old rusty ladder and a bromstick) to reach the nozzle, roll it on the ceiling until enough helium escaped and bring it back down. Now a though decision had to be made… we’ve lost all account of how much helium was still in the balloon. Even worse, we also did not know how much was left in the cylinder. Another thing we learnt at Técnico, we improvise! After re-filling our balloon with every last molecule of helium left, we tied all knots, ensure all sharp edges were duck-taped, moved the hole shebang outside, phoned Lisbon ATC once more (A huge thanks to NAV Portugal for their patience!) and of it went! Balua Two is officially airborne! Time to pack everything up in the van and start driving to our preditor’s landing site. While enroute, we took the time to compare our effective ascent rate with what we had planned (and it wasn’t that bad taking into account our measurement system was “open the tap and let it flow”). 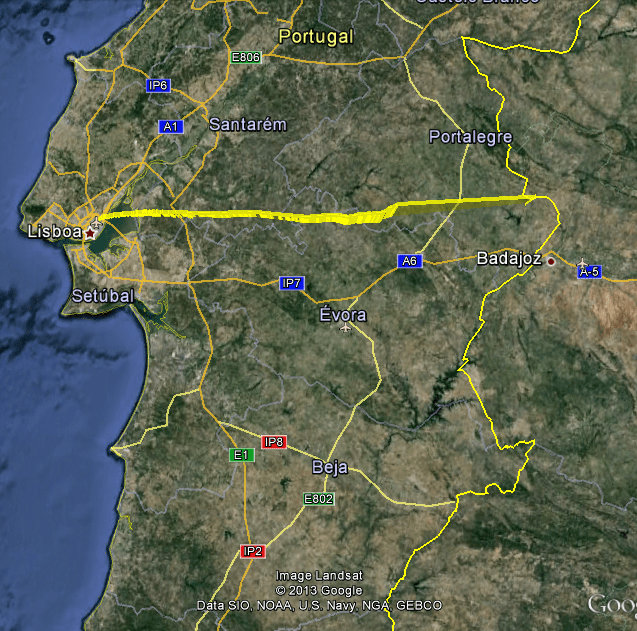 We’re now halfway through Alentejo and our flight time it 1 hour and 15 minutes. Suddenly, we cannot pick up any APRS packets! No anticipated warning, no odd telemetry data, no garbled text, it just stopped! Memories from our first flight storm in, what now? But enough of introspection and self pity, we still had a payload to find! We continued our drive under the predicted flight path hoping to pick up an APRS packet or SPOT’s internet tracked to draw a new waypoint. After what seemed like 8 hours (probably 1:30, 2h at most), we arrived at the nice village of Arronches. One of the most important treats of an engineer is the inability to think with an empty stomach. As such, upon entering Arronches, we decided to pause our search and sit at a local restaurant for a very nice meal. We had a lovely lunch of portuguese stew. Afterwards, while drinking some coffee, we started checking again our tracking systems and and low and behold there they were! Both the SPOT and APRS have sent packets, and they were in same point. WE HAD THE LANDING POSITION! We quickly got in the van and arrived to the landing site which was farm, more specifically, the balloon landed near a large pigs pen =/. We went to a house nearby asking for permission to cross the pen and grab the equipment. However it was not needed since the owner himself went inside and grabbed everything for us. We got everything back once again, checked the uSD cards, the logs were badly corrupted but the camera images were fine. In conclusion we got a successful launch. We still have a lot to improve, for instance there is also very strange happening with the APRS and is probably related to power and/or temperature because it turns off when is very high and a little while after landing it wakes up again. It was also a great trip, an amazing moment and experience to enjoy with friends. We also have awesome pictures from Lisbon’ airport and Tagus River. Go check it out in this website’s gallery section. Pictures and/or movies can be found in the gallery section of this website – here. We lost a couple of GPS position points shortly before the burst, and the datalog data was slightly corrupted but was correctly captured again later. Either way is possible to verify that the prediction was not far from the real flight once again. The data collected by our sensors during flight were badly corrupted, to the point that we could not stored on the on-board microSD card. 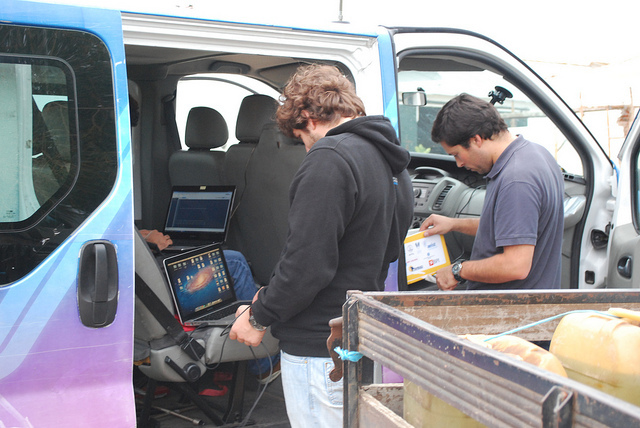 But we were to salvage most of the GPS data and compare the positions obtain with the ones predicted. The first thing we wanted to compare and validate was the predicted flight model vs the real flight. As we can see in the images below, the tool is very accurate considering the flight’s complexion. As a matter of fact the matching is almost perfect in the first half of the flight. Only diverging a little in the end probably because of a conjugation of a not so accurate wind prediction and error accumulation. It landed a few Km before we expected. The checklist was very important, even with a smaller team we managed to get everything done quickly and nothing was left behind. The prediction tool was once very accurate. SPOT and Venus GPS antennas worked great this time. The APRS problem and is probably related to power and/or temperature because it turns off when is very high and a little while after landing it wakes up again. Further tests need to be made in -40ºC conditions. Besides having good GPS positions we still believe that having a VHF beacon would be a nice asset for the tracking/searching phase. We’re still haunted by some electronic issues. Further pre flight testing in a similar to real flight environment would be a great asset to troubleshoot problems before the real deal!